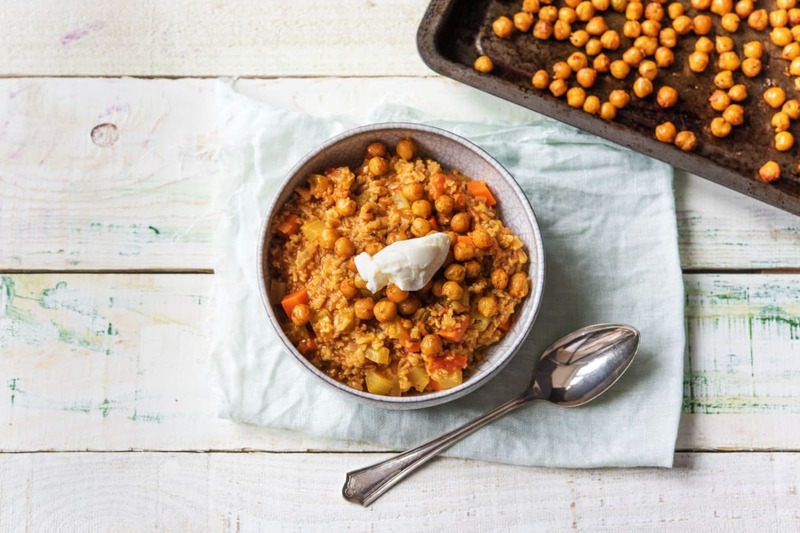 Grains like freekeh usually act as a starchy side to proteins and veggies and are rarely the star of the show. In this stew, however, we’re putting it front and center. It adds exciting texture and heft to each spoonful. 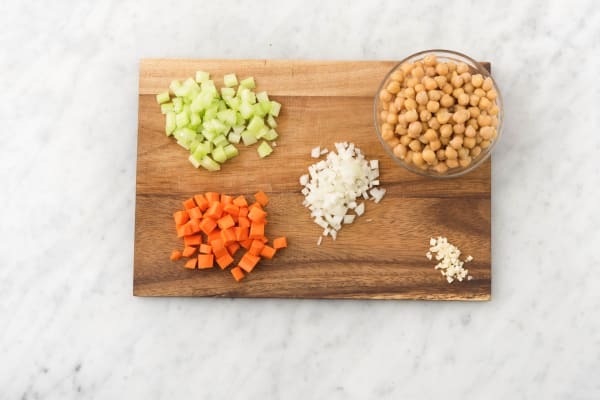 Roasted chickpeas and a medley of chopped veggies keep things hearty, while our Tunisian spice blend adds an enchanting perfume. Wash and dry all produce. Preheat oven to 400 degrees. Peel and finely dice carrot. Halve, peel, and finely dice onion. Finely dice celery. Mince or grate garlic. Drain and rinse chickpeas. Heat 1 TBSP olive oil in a large pot over medium heat. 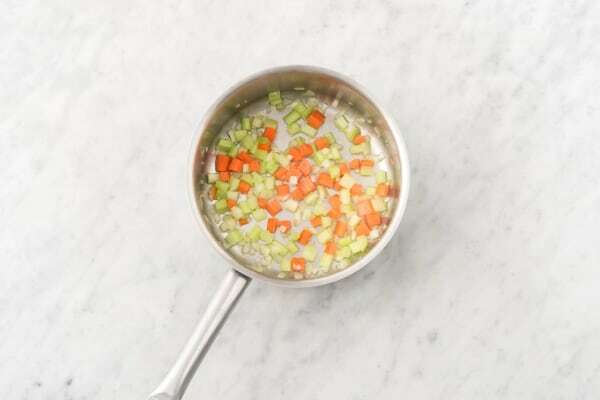 Add onion, carrot, and celery. Cook until softened and beginning to brown, 7-8 minutes. Season with salt and pepper. Add garlic and 2 tsp Tunisian spice blend (we’ll be using the last tsp later). Toss until fragrant, 1-2 minutes more. 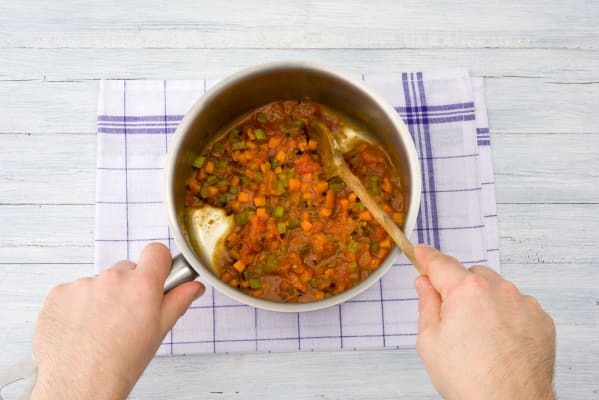 Add ¼ cup crushed tomatoes (we sent more) to pot and cook until slightly reduced, 1-2 minutes. Season with salt and pepper. While stew simmers, toss chickpeas with remaining Tunisian spice blend, 1 TBSP olive oil, and a pinch of salt and pepper on a baking sheet. Bake in oven until lightly browned and crispy, 15-20 minutes. 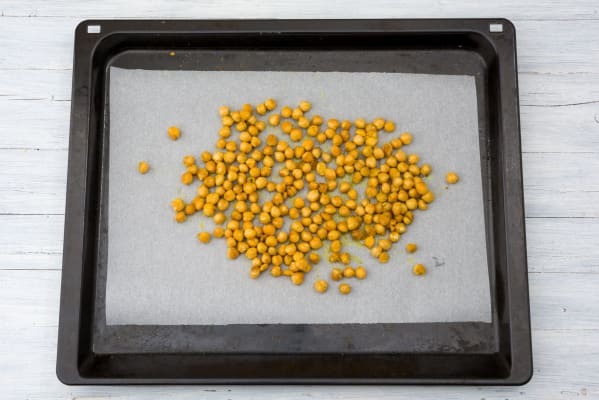 TIP: Chickpeas may pop in oven—it’s natural. With 5 minutes to go on chickpeas, slice pita into quarters. Add to baking sheet and bake until toasty, 2-3 minutes. 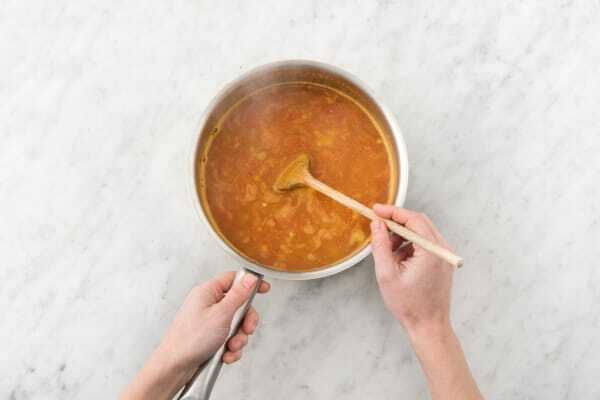 Divide stew between bowls when ready. 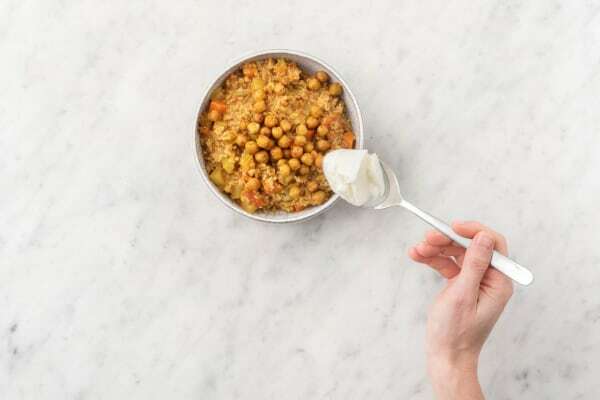 Top each bowl with chickpeas, a dollop of yogurt (we sent more), and a drizzle of olive oil (if desired). Serve with pita for dipping.